If your company runs open source, you probably run Linux. Infonaligy provides system administration, development and consulting of your on-premise or cloud-based Linux server environment. 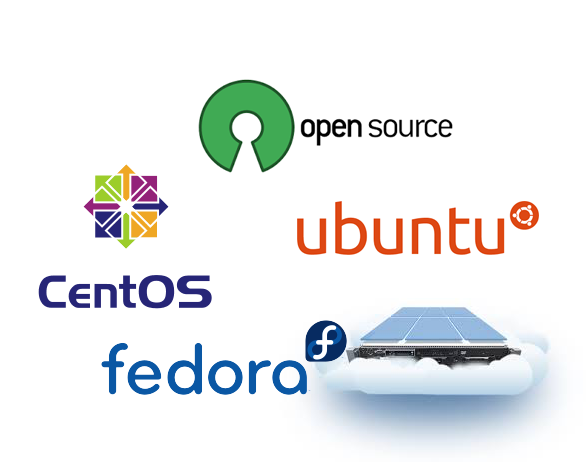 We work with all distros including Ubuntu, CentOS, Debian, Fedora – amongst others – and have a deep understanding of the small differences that can make a big impact in the overall performance and security of your web servers and the applications running on them. We monitor your OS and packages to keep them updated whenever new releases become available. When critical bugs are made public, you have very little time to patch and secure your environment before the bad guys start trying to exploit the vulnerabilities. Stay one step ahead with our managed updates to minimize security risks, maintain your customers trust, and avoid the embarrassment that comes with getting your systems compromised. By combining our threat and vulnerability testing services with periodic load testing and our intrusion detection systems – you can be rest-assured that your Linux servers are locked down. We’ll parse logs, monitor running processes, and watch network traffic to ensure your web servers not only stay secure, but continuously operate with the highest efficiency possible. Infonaligy is a professional Internet consulting and application design company specializing in LAMP (Linux, Apache, MySQL, PHP) software design and application development with database integration and overall LAMP consulting. As technology evolves, you need to stay agile in your development. These are the days of digital transformation, where consumers expect your products to be integrated, cloud-based and available on-demand. Infonaligy can help make this happen for you, from planning the hosting environment to the development of cloud-based products and services of any shape, size, or scope. Need to change an old program from C or Visual Basic (or FORTRAN) into something more usable and scale-able? We can help you get this done.